Home » Columns » Tom McCarthy » Top Fuel Motorcycles on TV: PUT UP or SHUT UP! It’s true, real Top Fuel motorcycles on TV, or on your computer screen as you wish, via Motor Trend Magazine, click here to see. 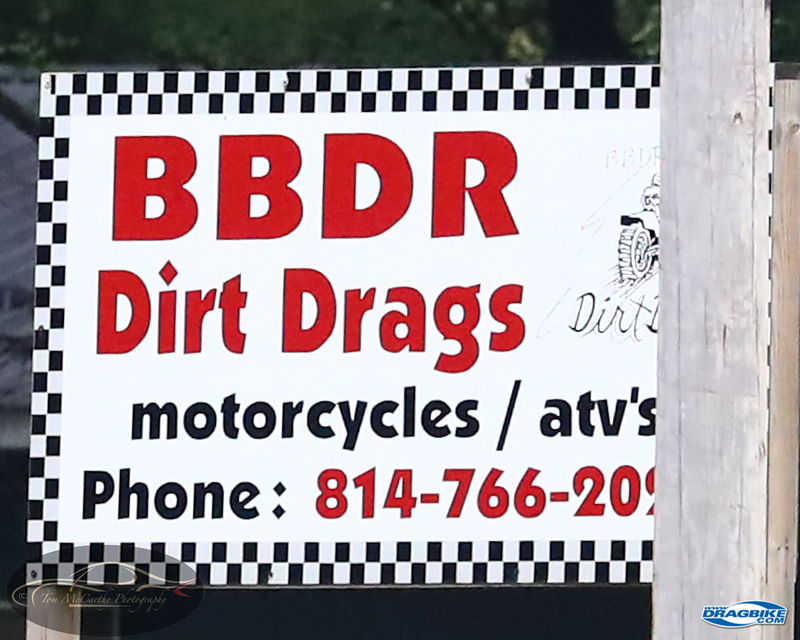 The secret is a secret no longer, you can now watch two notable Top Fuel motorcycles slug it out, riding dirty at the Blair-Bedford Dirt Racers facility, filmed in New Enterprise, PA. If you are a fan of Top Fuel motorcycle drag racing, then to Motor Trend online and follow the prompts to join up. 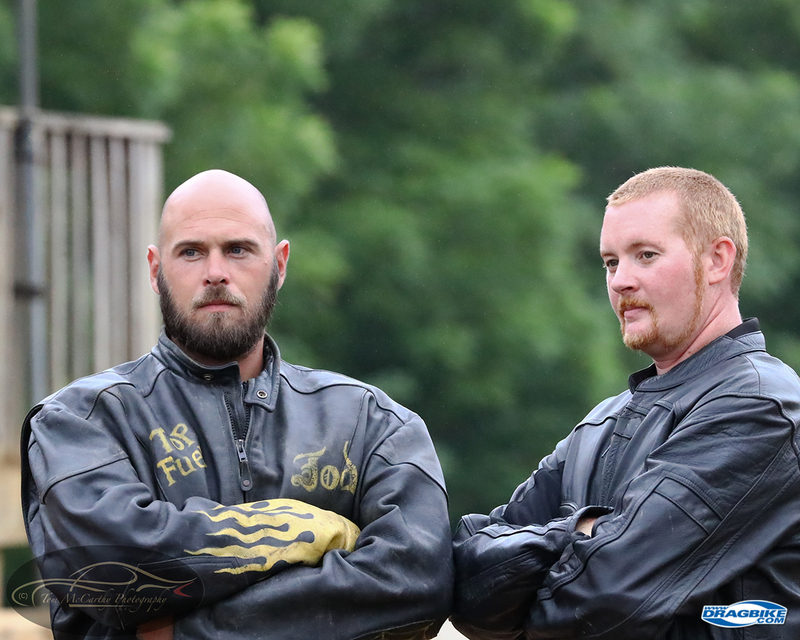 Todd Leatherman of Antioch, West Virginia (L) and Jason Plummer (R) of Cumberland, MD faced off for some Top Fuel motorcycle entertainment in the dirt for Motor Trend On Demand, TV. 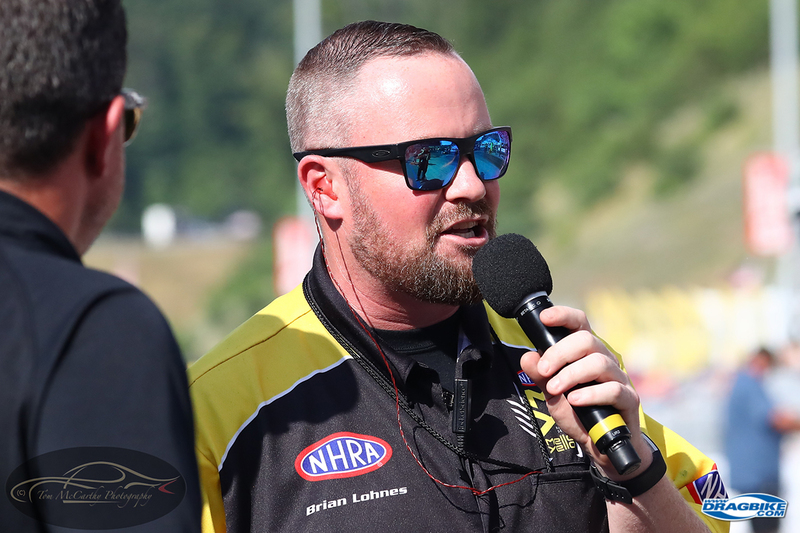 If you do what you will receive is access to various kinds of motoring shows, one of which is called “Put up OR Shut Up” hosted by NHRA frontman Brian Lohnes. 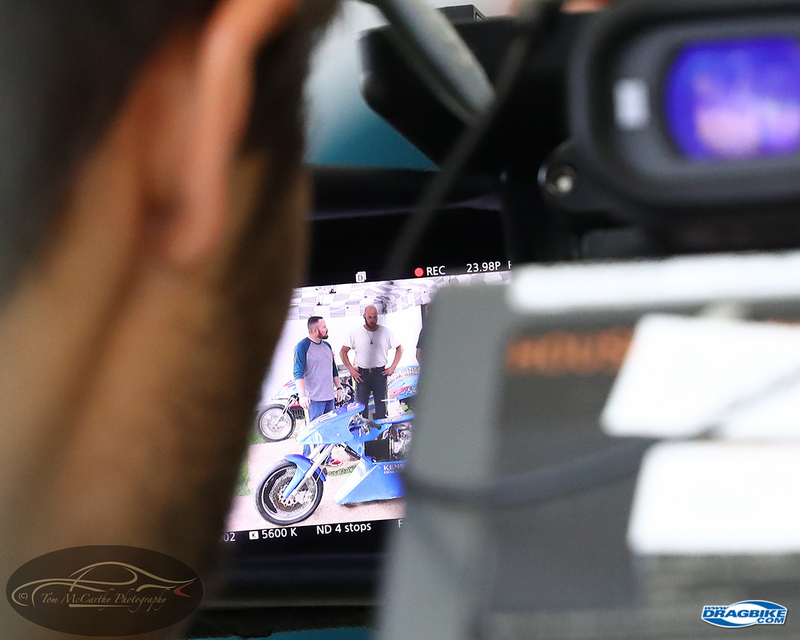 There are nine episodes of the show available to subscribers, and show number 9 is called Top Fuel Dirt Motorcycle Shoot Out. It features the machines of Todd Leatherman and Jason Plummer, two stand out drivers from the dirt-drags known for rooster-tails and wheel-stands. 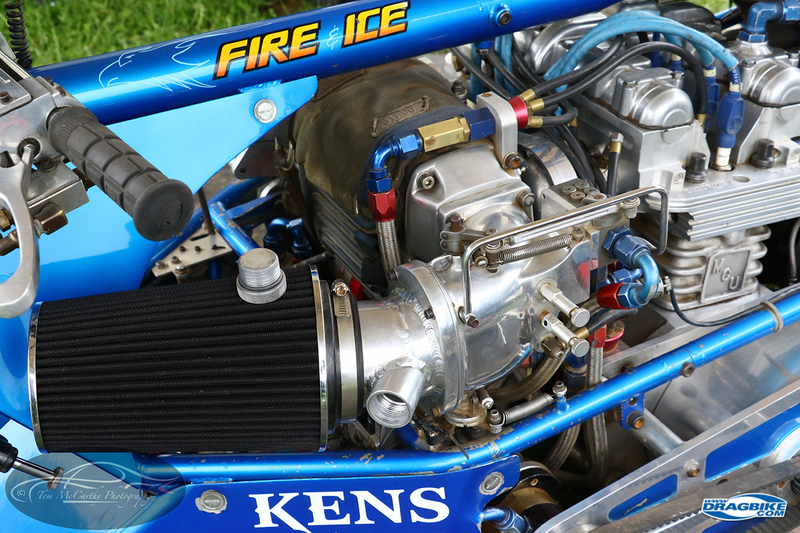 Todd Leatherman is the proud owner of the former Carl Ahlfeldt built, Ron Webb driven, “Fire & Ice” Top Fuel motorcycle. Todd and his family converted the old former AMA/PROSTAR, T/F machine into a dirt dragger, and when time and money permit, they bring the bike to the dirt drags up and down the East Coast looking for a little excitement. 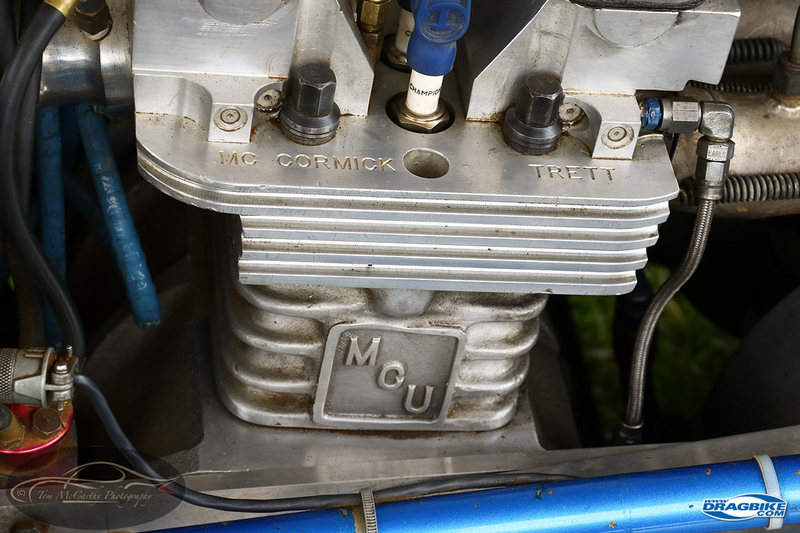 Many of the original TF parts of the Fire & Ice bike are still in service, including the Trett lower end, the MCU, Motor Cycles Unlimited cylinder block (Carl Ahlfeldt) and the Trett/McCormick head. Todd’s bike, back in the days when Ron Webb was driving with big Carl Ahlfeldt tuning, the bike produced a 6.0 time slip with close to 230 MPH. The times mentioned above are of course from the days of the bike racing on drag strips across the USA. In terms of today’s performance, the former AMA/PROSTAR record holder has recorded a 3.23 at close to 150pmh MPH in the dirt with Todd Leatherman behind the handlebars, on a 300 foot timed surface. Jason Plummer was two for two on full-pulls with his Top Fuel Harley, putting out quite the rooster tail of dirt each time. As for Jason Plummer’s drag bike. The machine he refers to as “King Rat” the bike is a 150 CID Harley dirt dragger Jason and his dad put together. It’s fuel injected, dad just likes to “Tip the Can” so the nitromethane is undiluted, right out of the drum. 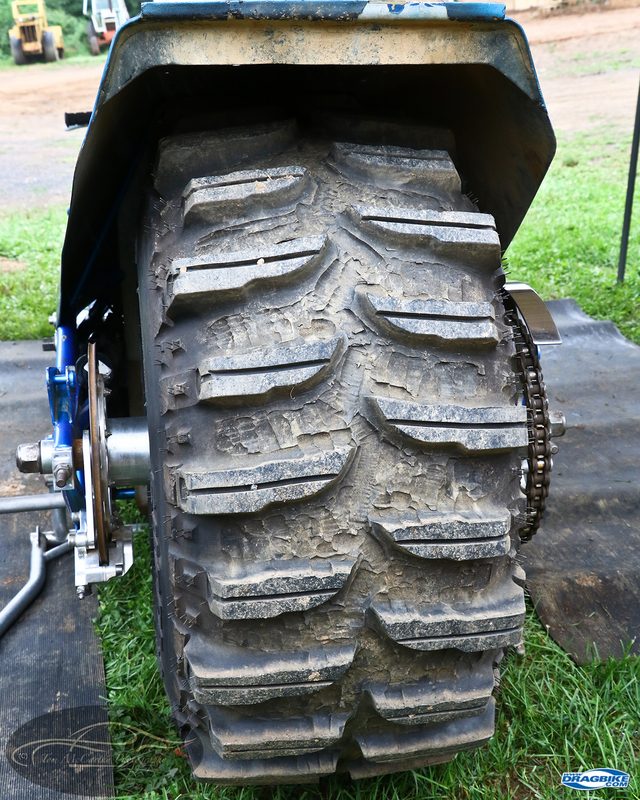 The motorcycle is direct drive, no shifting for Plummer, it’s stab and steer, right from the launch. Jason’s bike has a best elapsed time of 3.15 over 300 feet of measured time/distance, with a top speed of 150 MPH. The “King Rat” bike of Jason Plummer. These bikes are NOT toys, and these men take their racing very seriously. 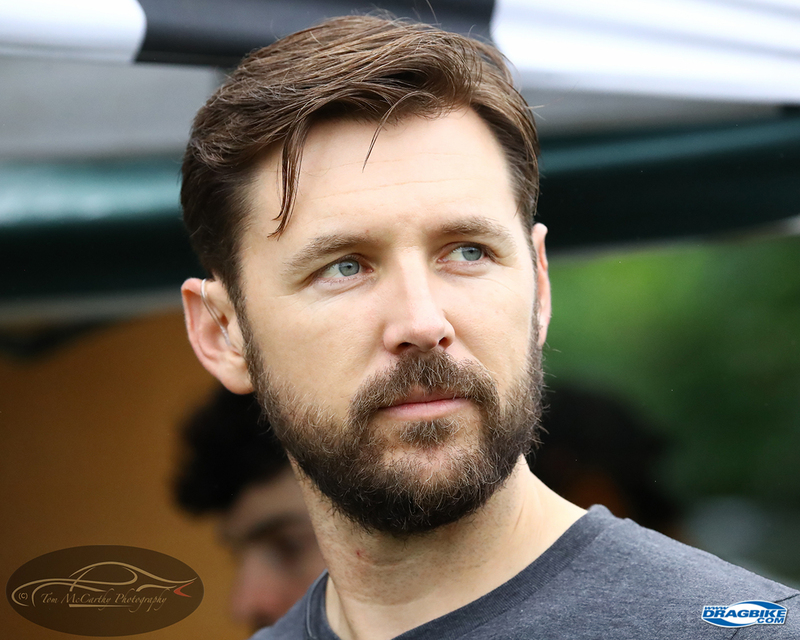 For the Plummer family, they are as respected in dirt drag racing much the same as the McClure family was during their dirt drag racing days before Jim & Phyllis McClure took to asphalt racing in the late 1970’s. Another dirt dragger from this same era who was racing at the same tracks back then was a young man in his teens named Larry McBride. 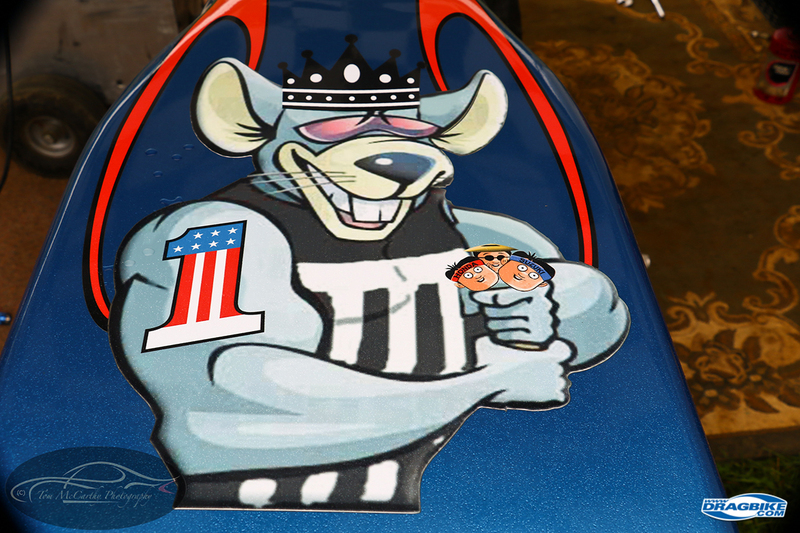 At that time, Larry was driving for Squeaky Bell, and they ran injected nitro in the dirt. But that’s another story for another day. 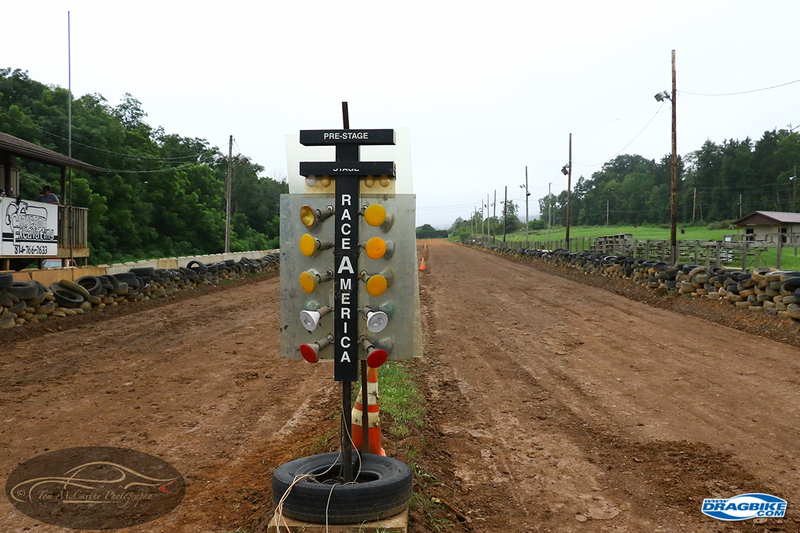 The Plummer family has been involved with dirt drag racing since John F Kennedy last occupied the White House. 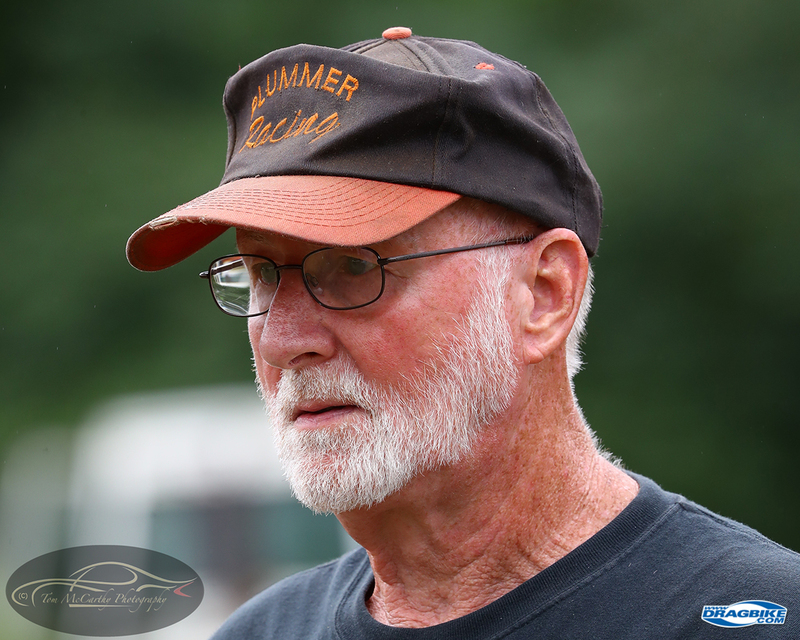 Jason’s father, the legendary Paul Plummer first began racing dirt drags when he was 15 and at age 16 started racing dirt draggers with nitromethane for fuel. He is 71 years of age now in 2018. Paul prefers to have his son Jason do the driving now, but his leathers still fit, and he has no hesitation about zipping up his suit and strapping on his helmet, as you’ll see when you watch episode #9 of Put Up or Shut Up. If the sight and sound of Brian Lohnes on Motor Trend looks familiar it’s because race fans are used to seeing and hearing from him like this on weekends when he’s working for the NHRA. The show, which is the brainchild of Brian Lohnes, is excellent for any motor-head, type-A person. If you are a serious gear-head and you are into what makes things tick, you’ll like Brian Lohnes show. One thing that’s just seriously cool about Put Up or Shut Up is that Brian Lohnes is a nuts & bolts guy who digs the how and why things work. Because of this Brian has real-time data “Live Telemetry” devices attached to both machines and his production team gathers data in real time, which Brian later will break down and explain how and where the machines did what they produced in actual competition. On a full dirt drag pass this is especially interesting as you can see where the machine did this or that, you can also see it on the telemetry read out and then you can walk the track with Brian through the lens of the cameraman and see the tire tracks in the dirt where the machine changed in its performance. 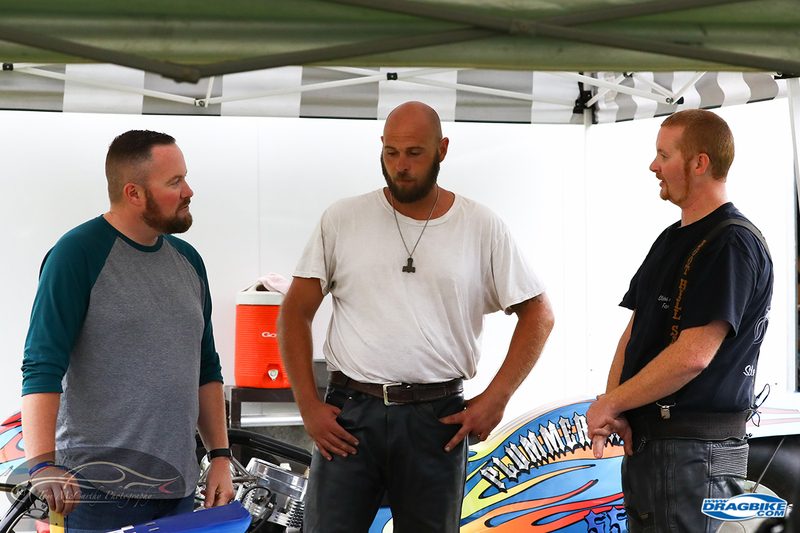 Brian Lohnes getting the low-down from Todd Leatherman (C) and Jason Plummer (R) on Top Fuel Dirt bikes. 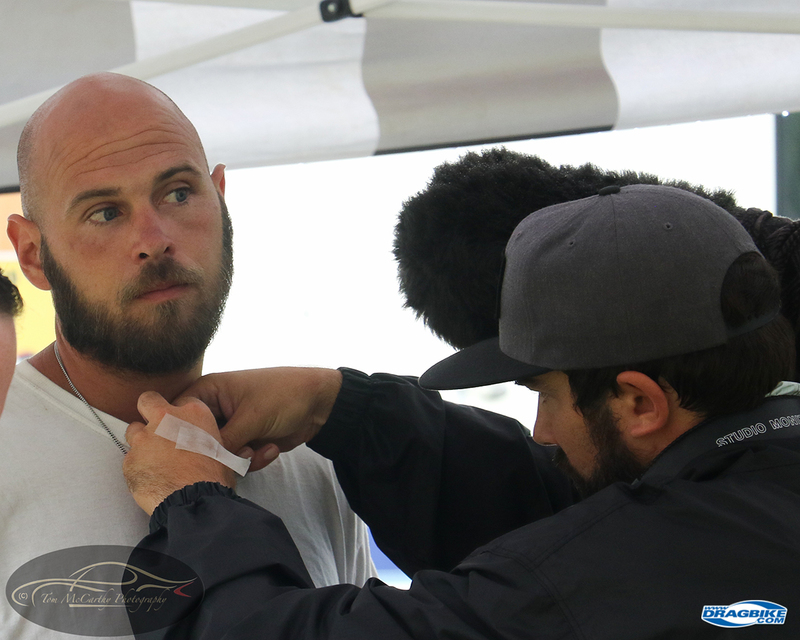 The centerpiece of Put Up or Shut Up is Brian Lohnes who’s personality and passion for the sport carries the show. Brian narrates and drives the show by gushing out his take on what’s happening, as it happens. ZERO staging of the events as they unfold. 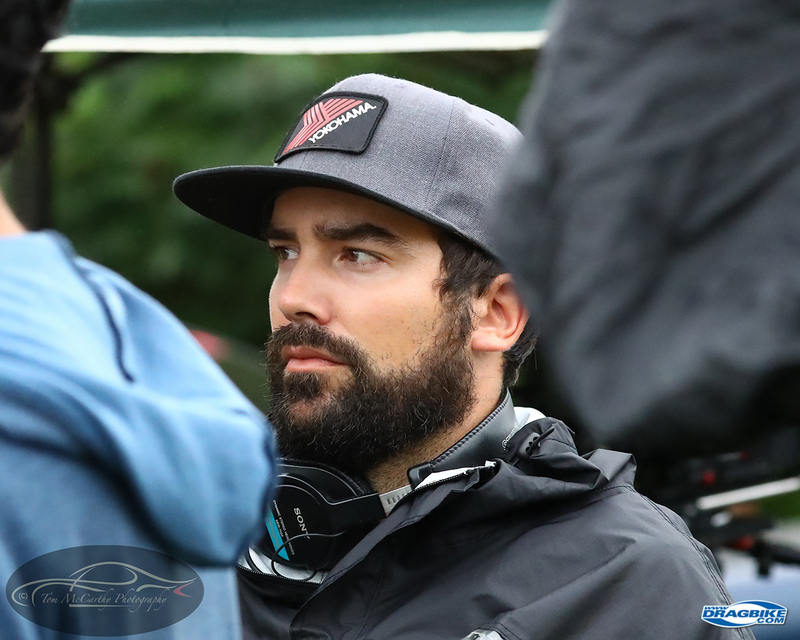 Brian just tells the racers when to pull the trigger and the cameras record in real time – I know, because I was there and watched it all come together. It was soggy, misty, rainy and miserable. 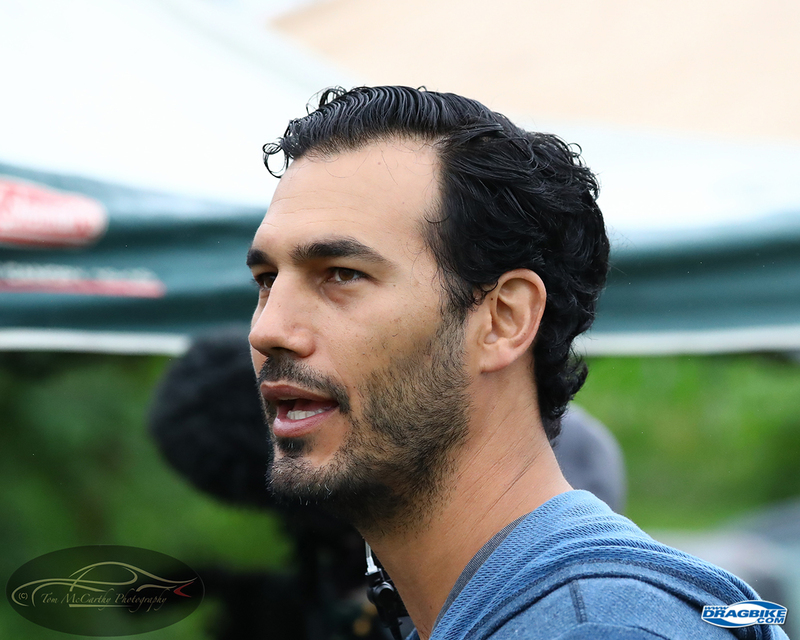 Brian’s production team were troopers all the way, the whole day. From 10am-ish to 7pm and then some, the cameramen, the sound man: a team of about ten people worked with the drag racers to capture the action. 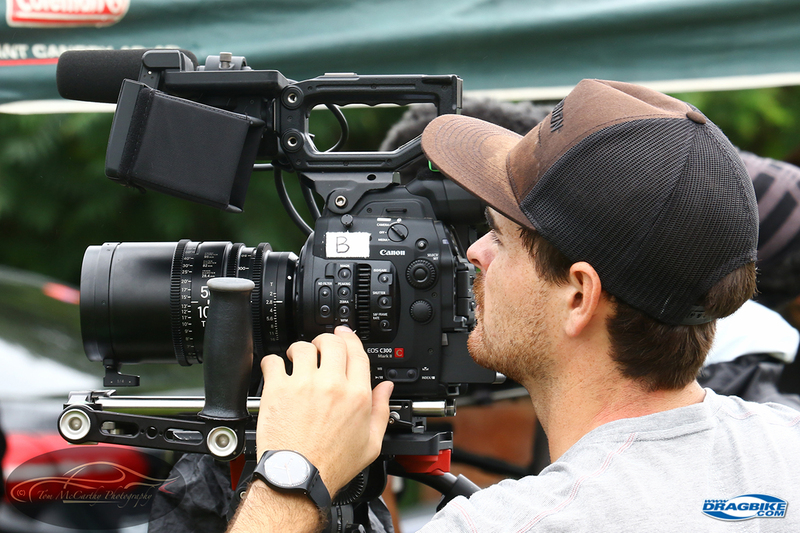 A full day of shooting by the team and some serious editing time was needed to produce this 20-minute show. It’s a ton of work and a ton of fun! Put Up or Shut Up is now in its second season with Motor Trend On Demand. There were 6 episodes filmed in the first season and so far in season II, three more episodes are in the bag. 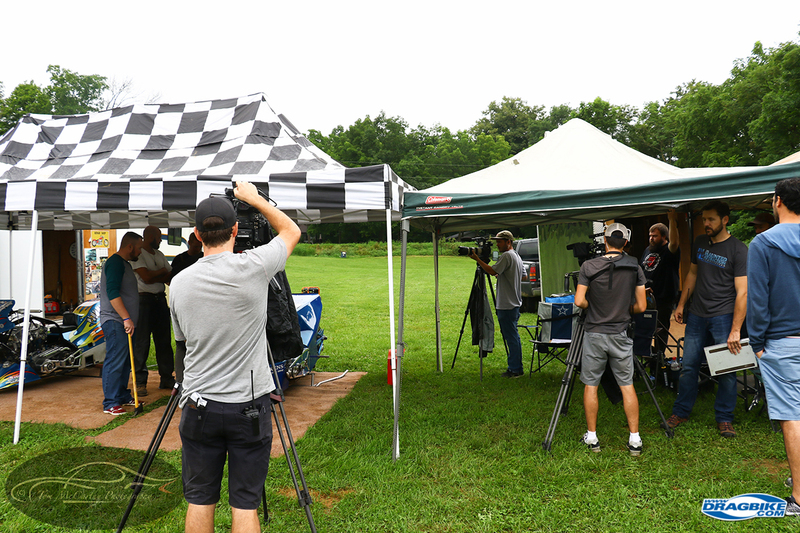 Episode 9 Top Fuel Motorcycle Shootout was released on September 5th, 2018. I hope you enjoy the show! 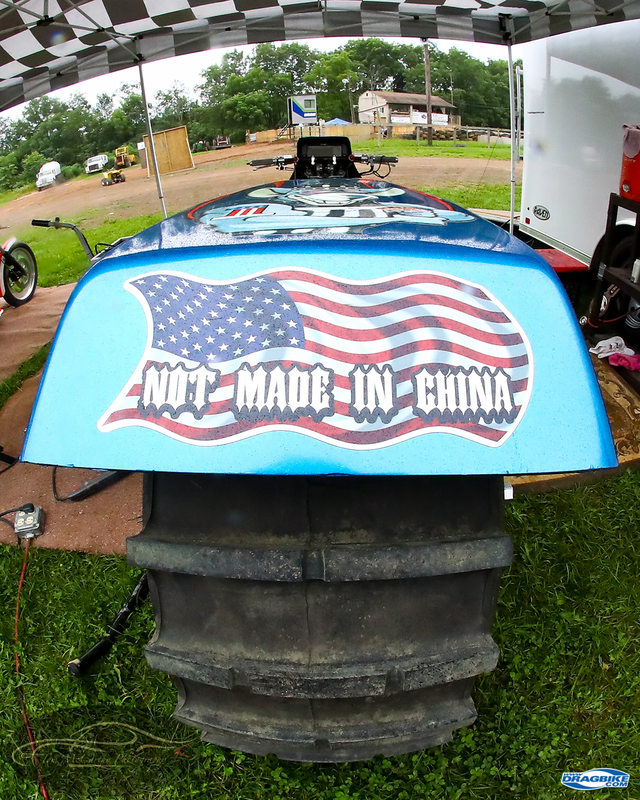 “Not Made in China” is the announcement from the backside of Jason Plummer’s Top Fuel Harley drag bike. 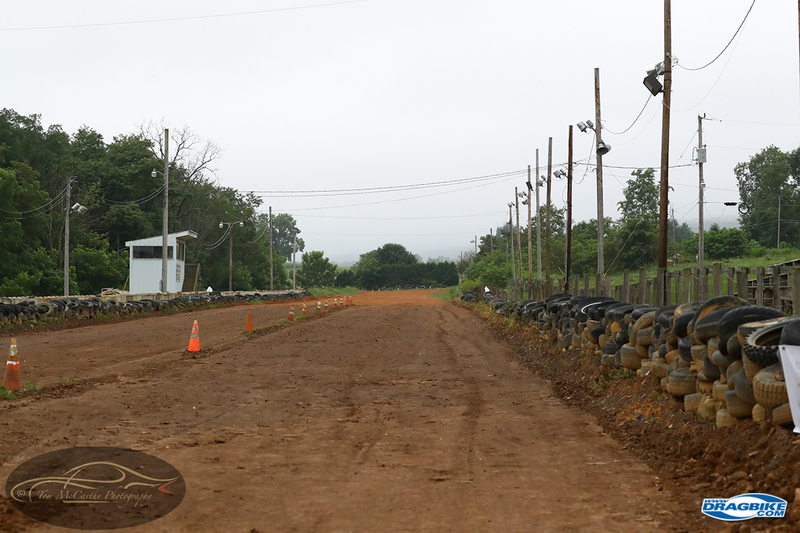 A racer does NOT want to go into the “wall” while dirt tracking. Todd Leatherman’s T/F bike as seen from the business end. 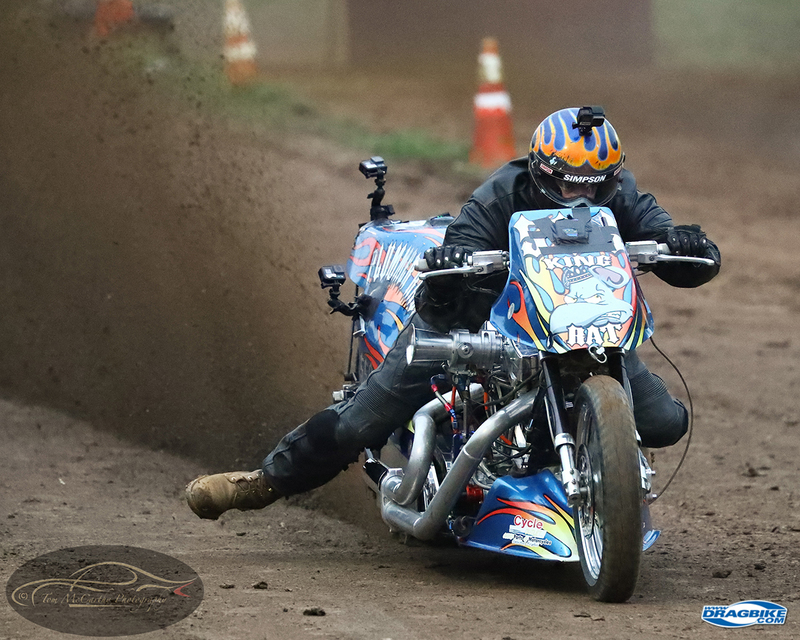 Todd Leatherman drops the hammer on the Fire & Ice drag bike in the right lane. The Top Fuel motorcycle of Todd Leatherman, formerly the Fire & Ice TF bike. THREE cameras all shooting the interview, for fast interesting edits. Paul Plummer, Jason Plummer’s dad is a dirt drag racing legend having been in the sport since 1962. 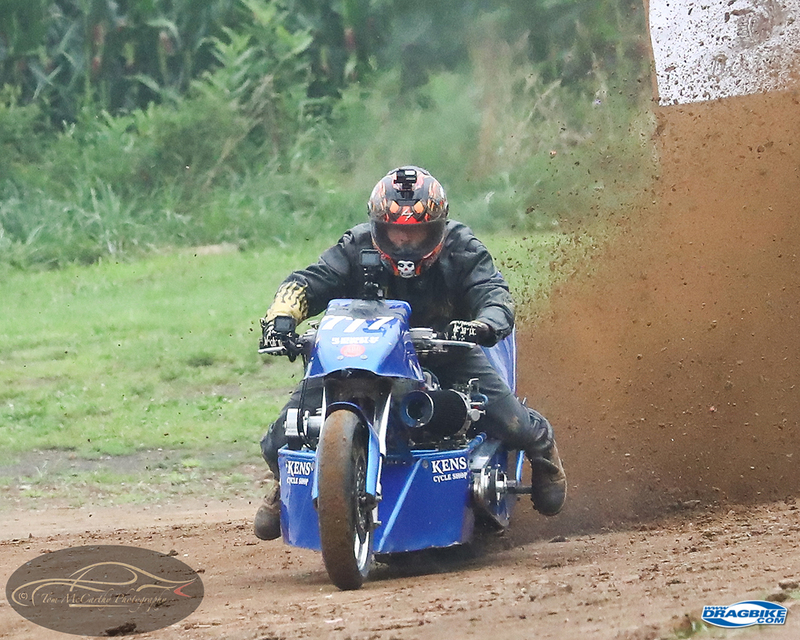 His forte is Top Fuel Harley drag bikes, set up for dirt track drag racing. This is what camera 1 is seeing as the interview progresses. THREE cameras from 3 different angles are catching the interview for various production needs. Crew member of Motor Trend’s production staff. 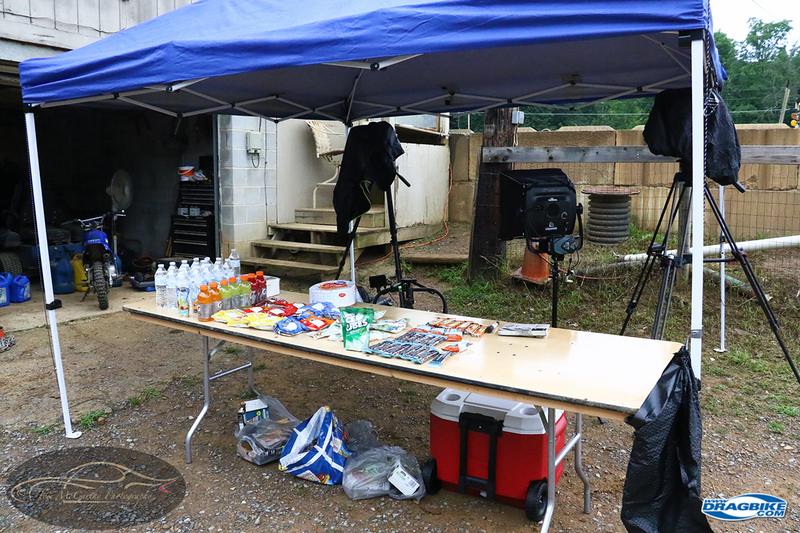 Snacks for the crew, very important!